POLICE have brought in sniffer dogs which are currently searching van showrooms near Rogate where a cannabis ‘factory’ is believed to have been discovered. Sarg Chris White of the Chichester and Arun Crime and Operations team told the Observer at the scene: “police have executed a misuse of drugs act warrant at the Durleigh Marsh van sales site and an adult male has been arrested. 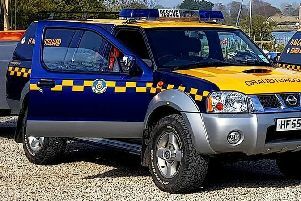 It is believed the cannabis was being grown in sheds between the van showrooms on the A272 between Midhurst and Petersfield. They are hidden behind a thick hedge and tall nettles and barely visible from the public footpath which runs closeby. The premises is believed to be owned by a family who have lived there for many years.